It is the most common question asked as bat professionals most likely, “will bats attack humans?” “will the bats attack my pets?”. The answer to that question can range based on simple, but significant factors. Where are you located? Did you move into the bat’s space first? Was a fan on? In a tiny room? All these factors and more can create a unique situation where a bat may feel defensive. Trust me; we have heard all types of bat stories. Some people love bats, and some would be happy if they never saw a bat in their entire lifetime. You see as humans our population is continuously growing. Which is great for us, we’ve done amazing things including preserving a lot of areas of national forests. But with growth comes expansion. Specifically, we are expanding to the areas that are inhabited by these flying mammals known as bats. Deforestation is the most significant cause for mammals, especially bats, having to relocate to available regions. Alas, that means the bats are moving into our homes and our human-inhabited areas. So, that brings us back to our central question of today. Do bats want to attack my family and me? The most straightforward answer to this age-old question is, no. Trust me, as someone who has heard every story, done tons of research for work into bats. I’ve even had them in my home as well; bats are fragile. One whack of the broom or even a tennis racket will render that little guy deceased. While there are so many flying mammals in this world, the one thing that sets bats apart is their bones. Human bones are filled with marrow to keep our bones heavy and dense, making them harder to break. Bats bones are hollower making them more fragile. Like birds, bats bones have large air pockets that help them with flight. Bats need light and thin bones in their wings, so they don’t have to work as hard to fly during the night. When we find bats in our homes or place of residence, the first question is “is this bat going to attack my family?” Bat attacks, boy oh boy do we talk about bat attacks, specifically bat attack on humans. Especially our kids, we worry for their safety over our own every day of our lives. Plus if you have pets, then you know the real struggle of getting your dog to stop barking or having you cat drop a dead bat on your lap. Now, bat attacks on humans are something everyone should know a little about as there are many types of bats and they have many different areas of the world that they happen to inhabit. With different habitats, you can have various reasons for bat attacks on animals or even bat attacks to humans. The biggest reason I believe humans think the bats are precisely trying to attack them is the bat’s flight patterns. The feeding/flight patterns of bats are different from birds and other predators with wings. Because of their thin skin and bones in their wings, they tend to use a swooping motion more when they are hunting. Bats also eat insects which are air born when they are captured by the bat for its meal. When bats get trapped in humans living space, and it feels like they are trying to attack you, it is merely the bats way of making sure it stays air born in the home. The bat does not want to attack you as much as you do not want to be attacked by anything let alone a bat in the middle of the night. When bats land on the ground or floor it is hard for them to retake flight. Which is why you will see a bat crawl to the wall and then up, this allows it to get into position for a more swoop-like motion of flight. Like I have said, this tends to feel more like an attack because it is almost like they are falling to attack you in your home. The best thing to help the bat not attack and get back to its normal flight patterns is to make sure the air flow in the house is as still as possible. Turn off those fans people, a fan to a bat who is trying to fly and avoid you is like trying to hold a conversation with me while I do math. It never tends to end well, and usually, you do not get the desired result. Now in the United States, specifically the Midwest, we are dealing mostly with Little Brown Bats. Now I know what you are thinking, “So what? A bat is a bat.” Unfortunately, it is not quite that simple even though it would make my job so much easier. There are tons of species of bats, but we will not go into all of them right now. The main one I want to talk about is Vampire Bats. No, I will not refer to Dracula (this does not count!). Vampire bats do have the highest “attack” rate of any other species of bats; which is why I’ve included them in my research. Vampire bats, bats in general, date back thousands of years. For us here in the United States, we are safely out of their comfortable climate range. They like it hot, like Zach Efron’s abs post-high school musical hot. In June of 2017, the country of Brazil saw a significant spike in their Vampire Bat attacks. Unfortunately, the northeast of Brazil saw a rise in bites by Vampire bats, rise coming to a total of over forty cases. These attacks from these bats where all in one region, I didn’t find anything specifying the region size and population density. This many bat attacks on humans are not frequent, but not unheard of either. While we can predict the patterns of these bats and other mammals. We can not predict how they will react when we take their natural habitat, and they are forced to relocate. 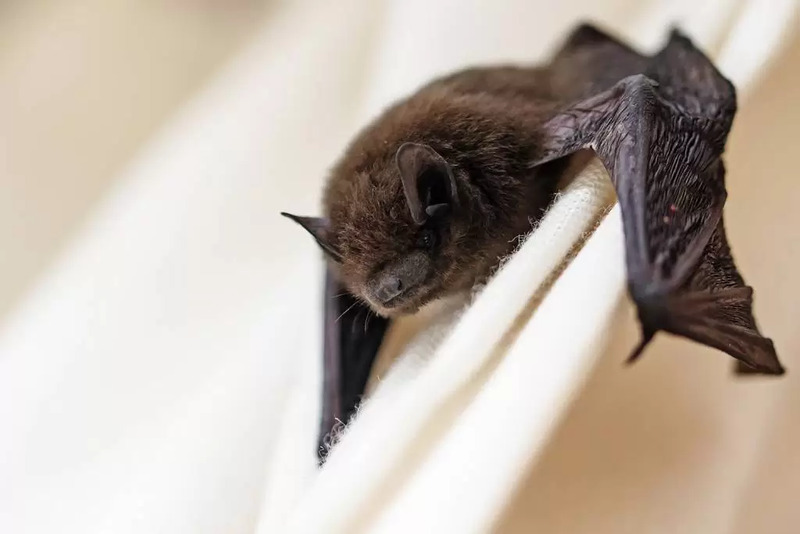 Bats attacking humans, while a serious issue, does not seem to be something that requires significant concern in our region of the world or even this region of the United States specifically. With Vampire bats being the biggest culprits of bat attacks on humans and their pets, having the reassurance that they are not in this region is something I hope can help many readers sleep better at night. After all, that is why I do what I do. I aim to inform, help, and hopefully put concerned citizens minds at ease. Having bats, or any pests at that rate is something of a concern for every homeowner, renter, or resident of the home. While we do not live in Brazil or South America for that matter, we still have the same fears for our family and anyone residing in our homes or communing in our churches. Do bats attack humans? The question on all our customer’s minds.